3D picture without special glasses – an extra that gets in our everyday lifes with the latest technologies. One of the brands, working on that is Toshiba. 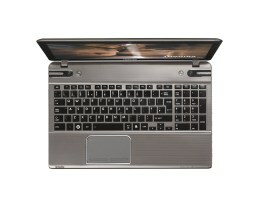 The laptop we’re going to show you is 3D Toshiba Satellite P855. And if you wonder if the 3D function is the reason for price of 1400 euro – there’s a lot more than that in the machine to gather your attention. The exterior is stylish and the laptop seems compact enough despite of its size, thanks to the rounded corners and angled periphery lines. The upper lid is made of polycarbonate and is embossed, which makes it hard to stain. Right now you see on your screen exactly how the P855 looks and in addition – here are its dimentions. The color options are two – black and light gray Weight – 2 kg, 700 gr, 385 mm width,253 mm dept and a thickness of 28 mm. There we find the branding inscription Harman Kardon the name of the company, responsible for the powerful and crystal clear sound of the laptop. There is also metal in the casing and some chromatic elements on both sides of the display. There we find the branding inscription Harman Kardon the name of the company, responsible for the powerful and crystal clear sound of the laptop. And also for the sound systems in the latest limousine models by Mercedes. The display of the Toshiba Satellite P855 is Full HD TruBrite LED Backlit with a diagonal of 15.6” and a resolution of 1920 х 1080 pixels. IT has a glossy finish, which contributes to the more realistic look of the colors. But the best part is that you could watch 3D images and video without the need of any special glasses. Looks great, but after longer use the eyes do get tired. There Is also an Intel Wireless Display technology for wireless connection and a HD WEB-cam with good image transition. The keyboard is island-style – each 9×9 mm with ergonomic shape for easier typing. There are 18 Fn buttons at the top. The touchpad does not have a standart form and is located a little on the left. It supports a 10 finger multitouch. Underneath the touchpad are the lights indicating the different processes that happen during work. 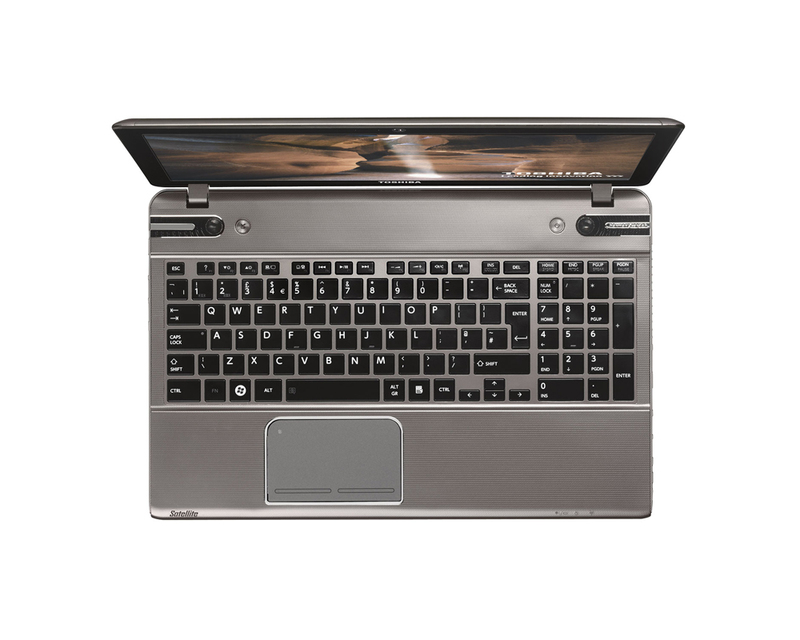 The periphery of the Toshiba Satellite P855 is rich woth a VGA, HDMI and 4 USB ports, a standart audio jack, RJ-45 connector CD and DVD optical device + Blu-Ray reader. There is also a Multi-in-1 card reader. As it comes to hardware – the processor is a 4-core Intel Core i7-3610QM. As it comes to hardware – the processor is a 4-core Intel Core i7-3610QM. It has 6MB L3 Cache and each of the cores is running at 2.3GHz and with the Turbo Boost at up to 3.3 GHz. The RAM memory is 8GB DDR3 at 1600MHz and the harddisc – 750GB. There is also a NVIDIA GeForce GT 640M video card, also appropriate for gaming. The battery is a 6-cell lithium-ion with a charge of 48Wh. According to Toshiba, their Satellite P855 could work for up to 5 hours per charge.